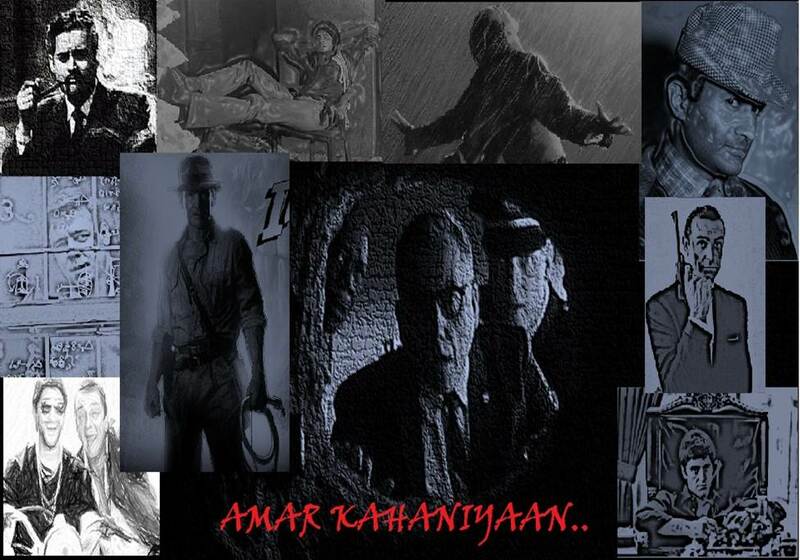 AMAR KAHANIYAAN: TALAASH or AGENT VINOD ? WHICH ONE WILL ROCK 2012 !! TALAASH or AGENT VINOD ? WHICH ONE WILL ROCK 2012 !! Coming out of the warm blanket of 50s & 60s Era for a while in this winter, I wanna inhale some fresh chilled air of bollywood. As they say, this is the most experimentation-oriented phase of bollywood, where different people are trying new things, whether they're successful or not in that is secondary & immaterial thing. The vanguards of this change are people like Vishal Bharadwaj, Ashutosh Gowariker, Anurag Kashyap, Sanjay Bhansali, Jaideep Sahni, Dipankar banerjee, Imtiaz Ali & many more. Let me tell you straightforwardly, As a whole, till now Industry has done lot of goof-ups while dealing with such experiments in past decade, but still some of them really got successful, rest were copy-kats, So're not entitled to my scrutiny for class at all. Yeah, the motive is still finding the ones who're near the classicism. 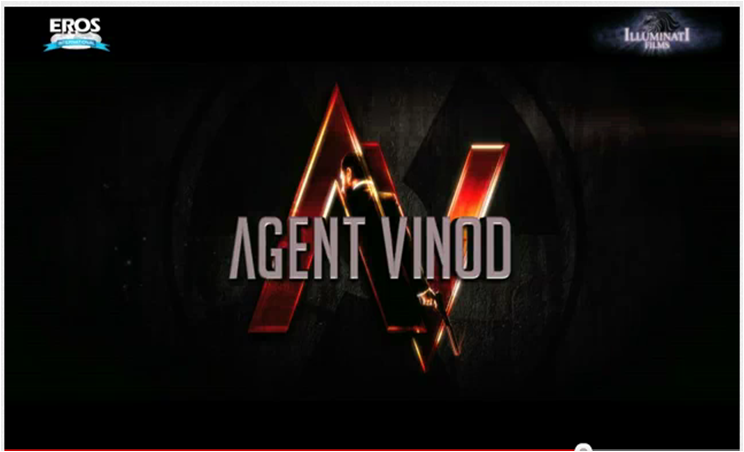 So rather going retro, I'm going forward this time, dealing with two most awaited movies of 2012- Talaash & Agent Vinod ! So this is my analysis of which one can garner more attention & rake moolah on box-office. I'll share all the factoids & perceptive qualities of both the ventures in order to project which one can win the heart of critics & public in this grand cinematic duel. 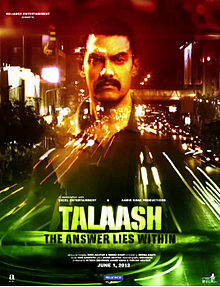 First let me talk about Talaash first, Well movie has Aamir Khan as its cast, what more it can ask for ? But mere actor presence cannot make it a great product to sell off. Otherwise Mangal Pandey-The Rising would be a hit. But then Aamir investment & creative interest also lies within the Film, So we can expect his greater interventions in the filming of the same. The movie is a psychological thriller where Aamir, the cop is suffering from multiple personality disorder. The teaser has revealed more than what it should have, but the execution of this interesting plot can play to the advantage of movie. 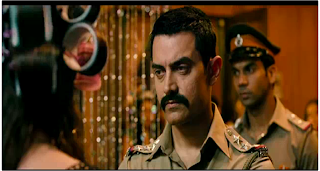 Aamir & crew have worked really hard for the same, starting from mustache look to filming in red-light area for making it look real. That's really appreciable of him, to again trying hard to do justice with the character. But according to me, the real hero of the movie is the one behind the screen, i.e Director! I've not seen Reema Kagti's first directed movie Honeymoon Travels Pvt Ltd. But she is talented girl, worked as an assistant to the likes of Ashutosh Gowariker (Lagaan), Farhan Akhtar (Dil Chahta Hai), etc. Also she is been attached to Excel Entertainment since its inception working with Farhan & Zoya (her close friend) in nearly all their productions. But she is still fresh and has to prove her mettle before I can count on his direction abilities. But her experience in industry looks enriching & promising. Now coming to Agent Vinod, Saif is not as popular star as Aamir for sure, so first-day-watch hunger of public would be lesser than Talaash. But Saif is a producer of this movie and this is his dream project. He's been so crazy & addicted to the filming of this flick, that his dedication not just felt by shooting-site injury & bruises news coming from locations like Morocco or Amsterdam since June 2010, but it shows in the trailer also. Well, to be honest, it's one of the most promising trailer in terms of thriller in quite long time. But then even Don 2 can have a good locations and trailer, but did the story intelligent enough to stimulate emotions, surprise & appreciation in the mind-space of viewer. Well this movie is not a remake of 80s forgotten-foolish Agent Vinod. But it's an original story by Sriram Raghavan, the director himself. Movie is a spy-thriller with lot of chills & thrills in it. And atleast that you can expect from Sriram Raghavan movie, Why? Because he was the Director who has made two movies till now. First one was Ek Haseena Thi, other one was Johnny Gaddar. Both highly-acclaimed thrillers. So thriller is his best jounre, and he's playing in his love-field. Sriram Raghavan, has worked in Stardust before joining the prestigious Film & Television Institute of India (FTII) Pune. I know art doesn't require any qualification. But if we do consider it, He has the advantage over Reema in that respect. And experience-wise, his own creative efforts have been impressive enough to raise the expectation bar. If you happen to see the camera angles & screenplay of Sriram Raghavan, you'll see that camera itself play a character, which create tense & thrilling sequences. That art he might have learned from Mr Ram Gopal Verma. So, if we compare the two movies on the first-perception basis, the analysis concludes Agent Vinod to fare better than Talaash. But box-office is tricky game altogether, nobody can judge it accurately before the theatre release. But still we can compare the two movies. There are some similarities like new Directors, both Director are two movies old, both Directors are the writers too. Both movies have a star to bank upon, and both leading actors belong to choosy breed of artists. They nowadays do one movie at a time. Yeah, Aamir has been more impressive than Saif, but Saif has recently entered into the self-production sincerity mode where Aamir ventured way back at Lagaan time. If we go by their career performances, Aamir memorable one in similar theme was Ajay Rathod (Sarfarosh) & Saif performance in Ek Haseena Thi was commendable. If we go by their adaptability loaded roles- Aamir is an uncrowned king of adaptability by range and varieties of roles he has done in last decade or so. But Saif's Langda Tyagi was phenomenal too, performed with all honesty he possessed. And if we go by their last movie responses. Aamir did a little cameo in Delhi belly & Saif's Aarakshan lacked the finesse in it. So collectively, Both stars are engaging enough to attract audience, the only thing which will matter now is STORY. And even after a good story in hand, the perfect execution with all sweat and blood immersed in it, will probably decide this duel. Well Agent Vinod will come early in March end, while Talaash will come in June. So you can see, marketing-wise Aamir is using both Social media & other avenues intelligently. 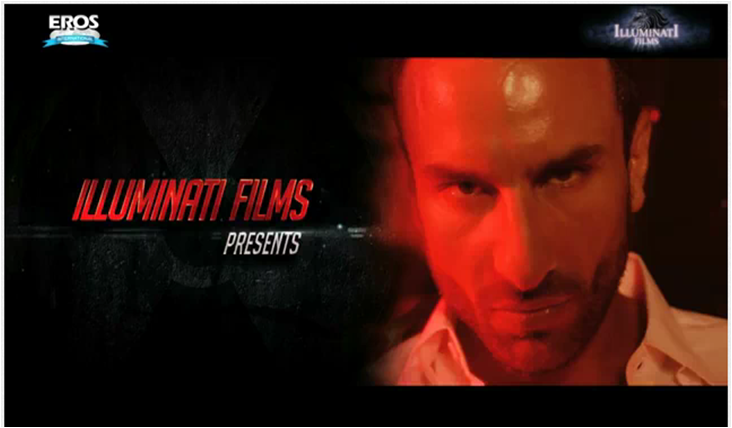 My Verdict, Agent Vinod will be the Winner, It's 60% due to the Director, 20% to story, 20% on my movie-worms instincts. I liked the whole branding of Agent Vinod starting from their choice of Title Font & poster of movie to the locations & execution of sequences shown in trailers. 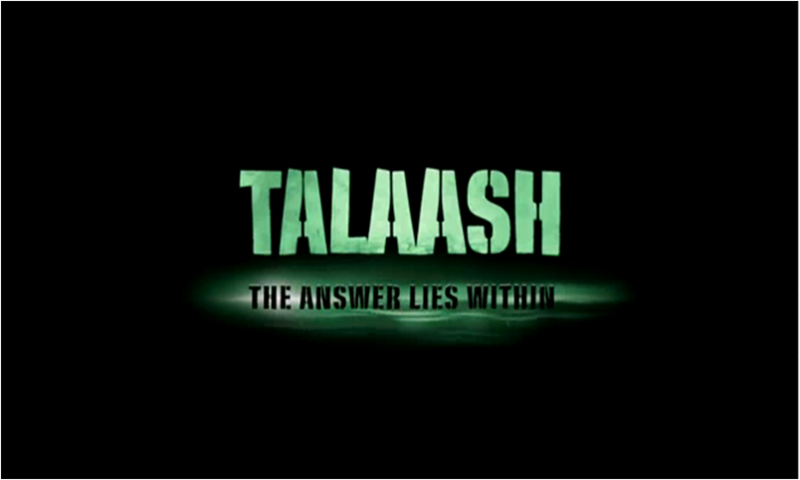 While Talaash has a huge burden of expectation over its shoulder, and in contrast to that, it looks little dull in its teaser. You must be surprised, but its a courageous verdict, because people is waiting for Talaash so much that in two days its teaser videos has got 1 million views on Youtube till date, way faster than any other movie I've ever seen. Still I feel Agent Vinod is a dark-horse, and will come out with flying colours. Lets see how the assumptions work out in real ! Stay Tuned ! O my dear God, I haven't seen Agent Vinod yet. But All critics has unanimously bombed the movie, even cinema goers aren't much impressed. All are saying the movie seems lengthy. So, It seems my prediction proved wrong. 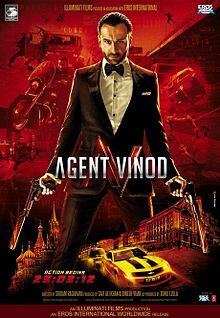 Everybody is saying that this is not Agent Vinod, But Travel Agent Vinod with all worldwide locations mixed up in the movie. C'mon I'd so much expectation from this movie ! Alas ! 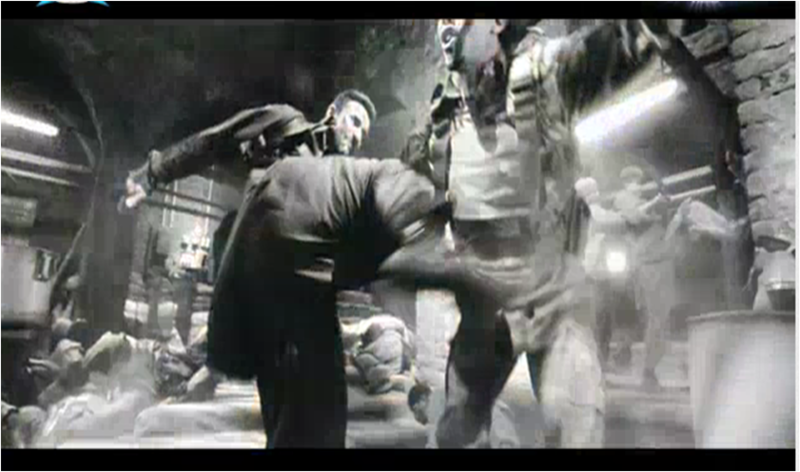 That prove the point, Sometimes, even having a good Director, Actor, Approach, you can land up in a messy affair. And promo can't be the judgment criteria. Let's wait for Talaash then !